Durham is home to some of the best restaurants in North Carolina and we’ve been lucky enough to enjoy many of them. There are so many ways to explore the city’s food scene, but we wanted to keep things low-key for those of you who forgot your suit, tie, and Sunday’s best. We’ve also mixed things up with some Downtown Durham restaurants, as well as those in other neighborhoods. 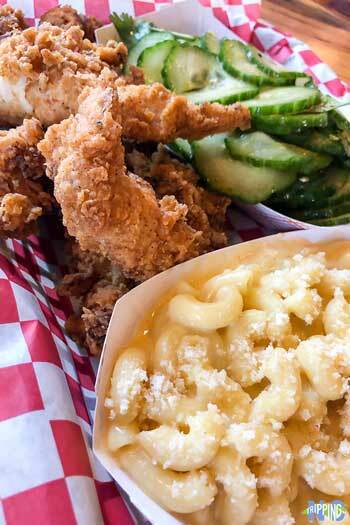 Before you venture out for food here, we’d like to share 15 of our favorite casual restaurants in Durham! If you don’t live in the Bull City and want to spend a weekend here, check out these awesome places to stay in Durham! 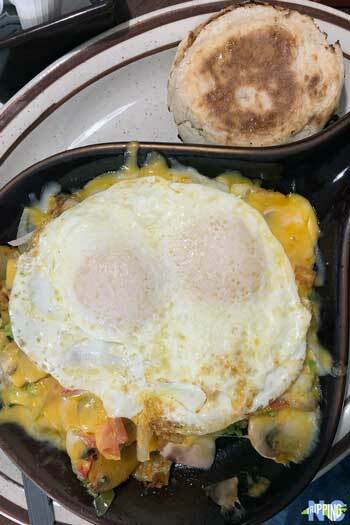 Silver Spoon is our favorite place to grab breakfast in North Durham. 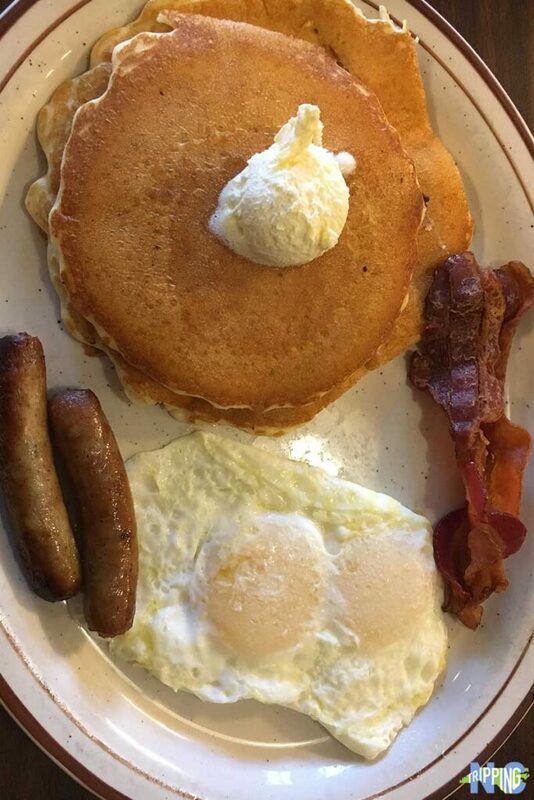 You may get overwhelmed by their massive menu, but remember that Silver Spoon’s breakfast skillets are what many people come for. We love them, too, but also anything else that comes out, like the basics—pancakes with a couple of meats and eggs. Also, don’t forget to grab some baklava on your way out because it’s simply amazing! 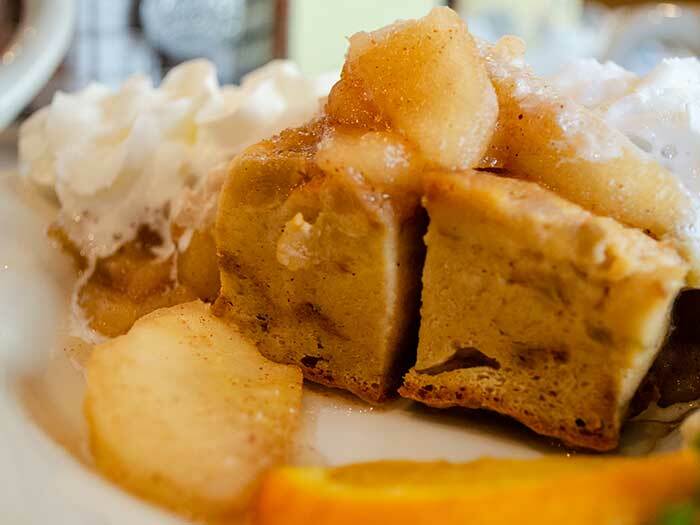 Now, you can’t come to the Bull City without having breakfast or meals throughout the day at Elmo’s Diner. This Downtown Durham restaurant (9th Street) is an institution and you’ll hardly ever walk by during weekend mornings without seeing a line out the door. If it’s on Sunday, that’s because they’re likely waiting for the best brunch in Durham! Everything is delicious here, but their quiche is something to die for! 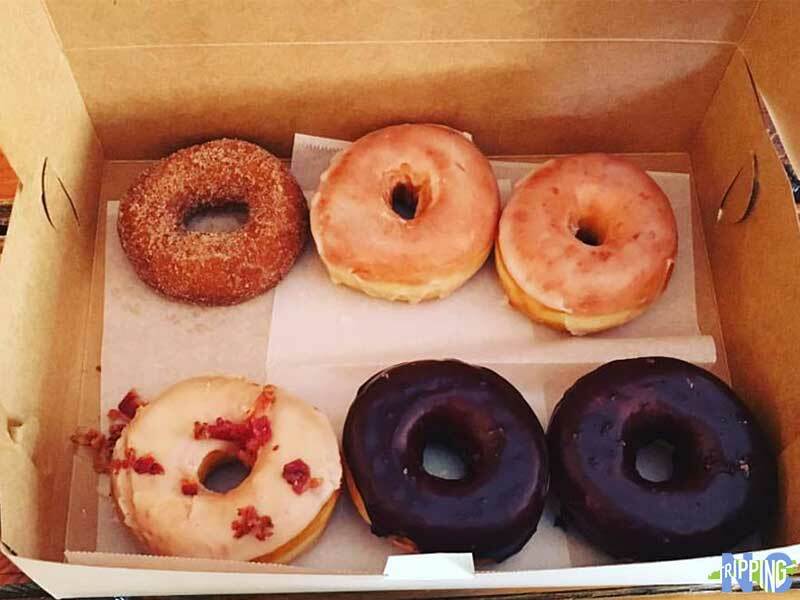 Who said doughnuts can’t be a complete meal? At Monuts, you’ll also usually find a line out the door. But with a fresh list of cake or dough selections, Monuts is THE breakfast spot and totally worth the wait! Don’t like doughnuts? They also have incredible breakfast sandwiches and bowls! Every person who orders gets a fun fact card to read while they wait, too! There’s no such thing as too many donuts, so after going to Monuts, drive down the street to Rise Durham. 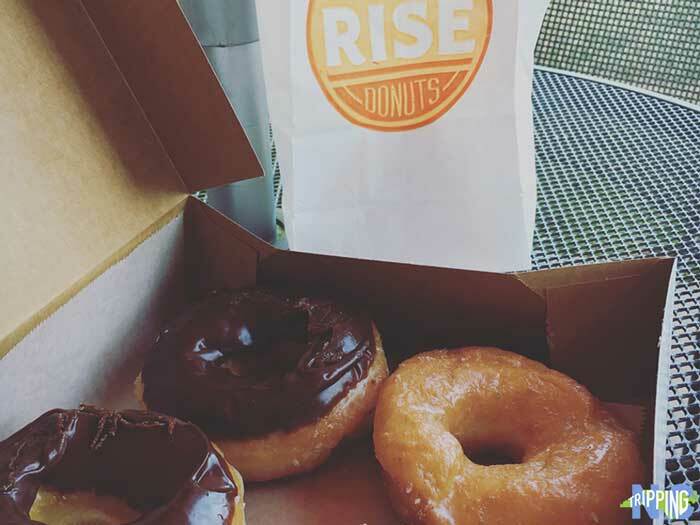 This growing franchise has a location by the Farmers’ Market and Durham Central Park to showcase its amazing selection of donuts (hello, beautiful maple bacon!). You’ll also find the largest and fluffiest biscuits you’ll ever see. Definitely get a Righteous Chicken biscuit AND their Fried Green Tomato and Pimento Cheese Biscuit. YOU’RE WELCOME. $5 Margaritas? Yes, please! 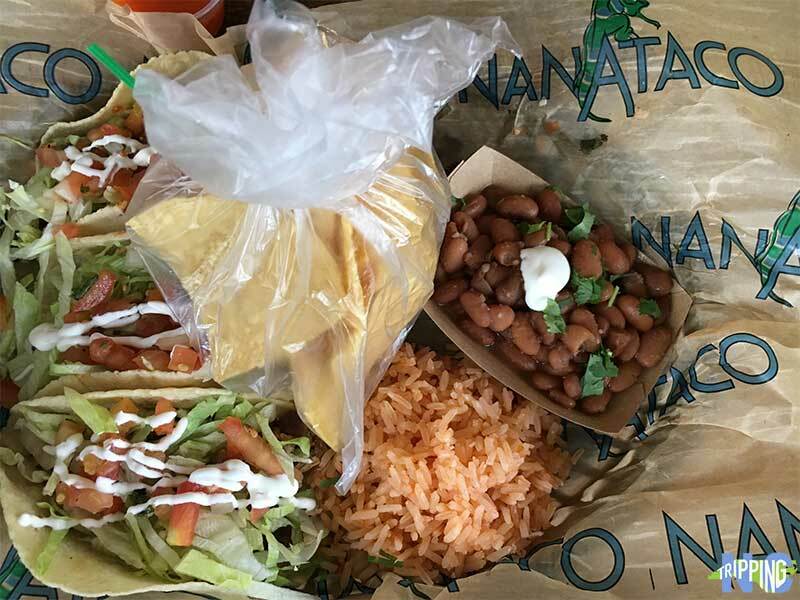 Not only does NanaTaco serve up Mexican-American food with fresh, local ingredients, but they are one of the only restaurants to get dirty! Okay, with their meats is what I’m talking about. Get your head out of the gutter! If you’ve never had a taco with beef tongue taco or hog jowls and want to try it, this is the place. You don’t have to eat the dirty stuff, though. I will judge you if you come here without the Big Daddy Burrito! I guarantee it’s the size of our toddler’s face. 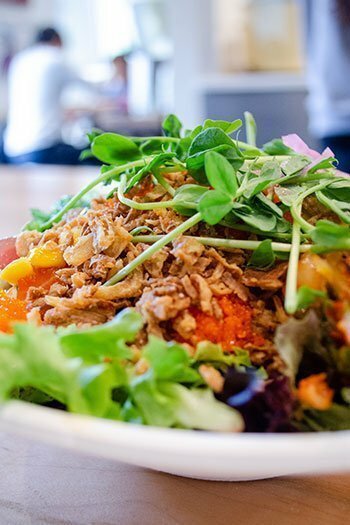 ZenFish Poké Bar is the perfect spot to grab something healthy and delicious in Durham. 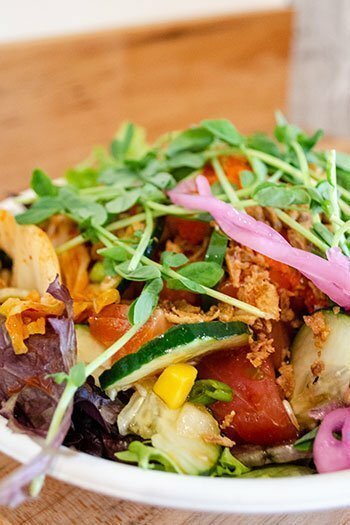 With a variety of base options from white rice, brown rice, salad, quinoa to even zucchini noodles, this is the ultimate stop for the rising Poké trend being seen across the country. One of the best parts of ZenFish is their commitment to the community. The signature bowls of Compassion, Gratitude, Courage, and Kindness are an inspiration and reminder of how to let love into your life. Sourcing ingredients from local farmers and making sure that everything is compostable makes this guilt-free casual restaurant a must-stop! We’ve been coming to Picnic Durham for a long time and we’re not alone. This place is well-known for its whole hog BBQ and picnic tables outside. 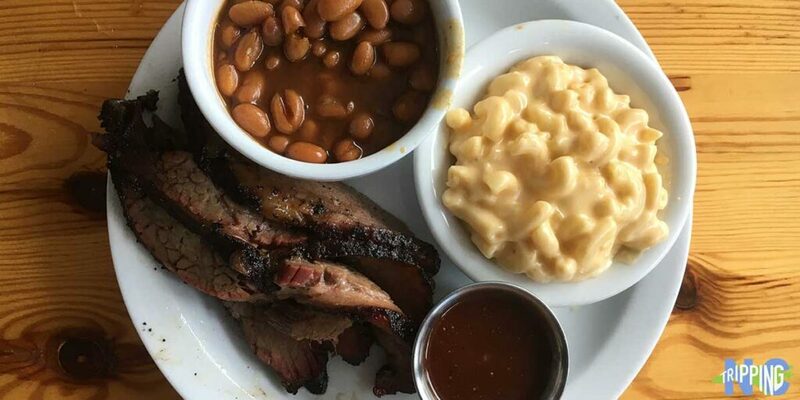 Go for the pulled pork or sway away from traditional NC BBQ with some brisket. Also, don’t be afraid to be tempted by their smoked buttermilk fried chicken, which might be the tastiest bone-in bird you’ll ever eat. However, you must eat their bacon-braised collards as a side. That’s an order! Picnic Durham is near the Eno River State Park, which is one of our favorite places to enjoy the outdoors in Durham! While it isn’t exactly a “restaurant,” this little shack off Broad Street is packing some serious heat! 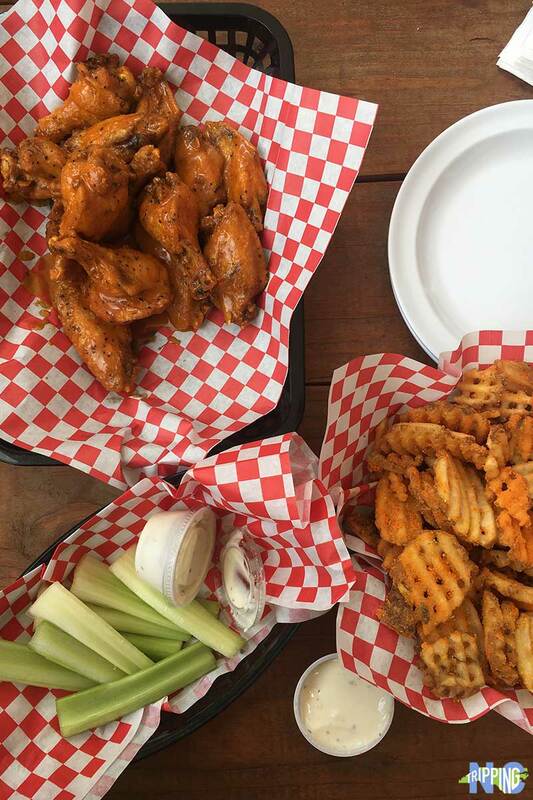 Wing and waffle fries are really all many people need in life and Heavenly Buffaloes is there to cater to your every need. They even considered vegetarians, vegans, and anyone with an aversion to chicken with an incredible meatless wing! Also, who doesn’t want to Burnie Zass-Hoff? You cannot come to Durham without stepping foot into the beer mecca that is Fullsteam Brewery. We wouldn’t have craft beer in North Carolina without Pop the Cap, spearheaded by Fullsteam Owner Sean Lilly Wilson. Not only is the beer incredible and innovative (I mean, who else makes beer with paw paws? ), but the food from their kitchen is perfect. This is the perfect place to grab a board game, a brew, and relax in Durham! We love Fullsteam so much that we interviewed Sean Lilly Wilson, who was gracious enough to sit down and chat with us! 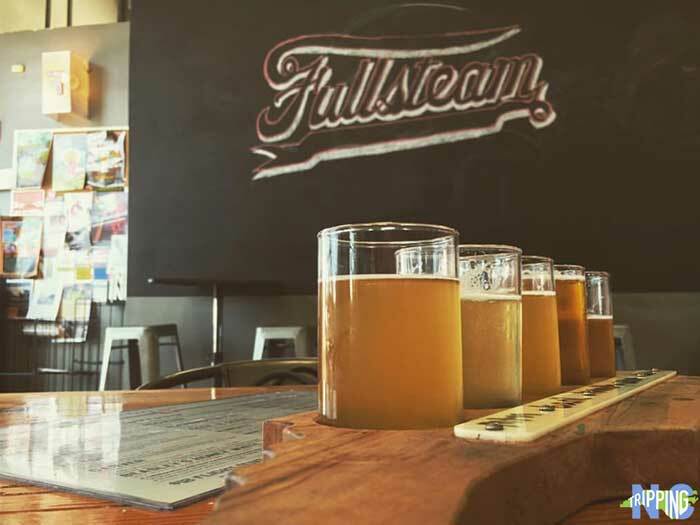 We also included Fullsteam in our list of favorite North Carolina breweries. 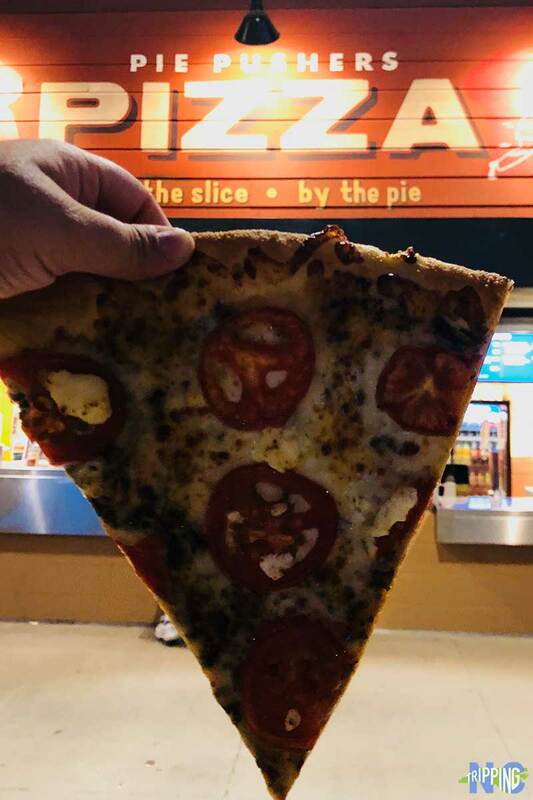 Head to Durham Bulls Athletic Park when Minor League Baseball is going (April to September) and you’ll find great games, but also delicious eats. Classic favorites include Bright Leaf Hot Dogs and brews from Bull Durham Beer Company. More awesome eats inside DBAP include Gonza Tacos y Tequila by left field and slices from Pie Pushers inside the concessions area. Note: Both Gonza and Pie Pushers have standalone locations in Durham, with the latter also driving around and serving via their food truck! If you’re not around during the season, other great choices include Tyler’s Taproom, Tobacco Road Sports Cafe, and Nana Steak. These are some of the best restaurants near DPAC, which is close to the ballpark. King’s Sandwich Shop is the OG of places to eat in Durham. Cooking home cooked food on Foster Street since 1942, King’s is right around the corner from the Historic Durham Athletic Park. We love walking up and ordering something random but challenge you to a Royale with Cheese or a couple of Spicy Blackbean Burgers, depending on your lifestyle. By the way, Bites of Bull City is a great Instagram account and website to follow when new restaurants in Durham pop up! Made from scratch, locally sourced, fresh daily. All the markers for an amazing bakery. That’s exactly what East Durham Bake Shop is and more. 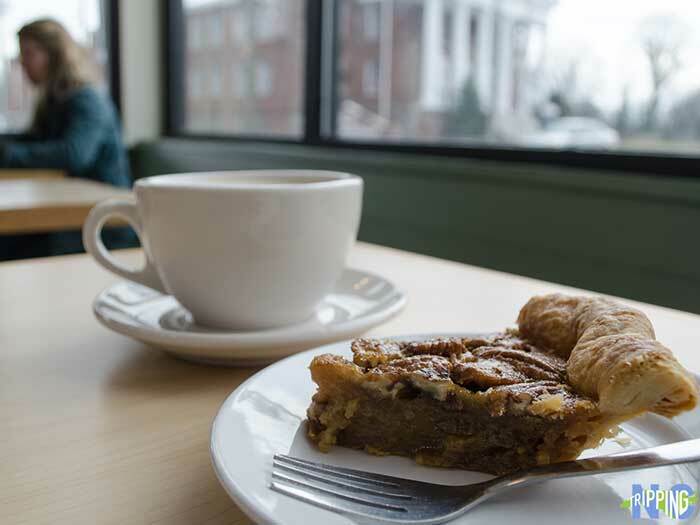 Living Wage-certified and with the sweetest owners you’ll ever meet, East Durham Bake Shop is a cozy little corner store where you can sit with a delicious cup of coffee and a beautiful slice of pie. 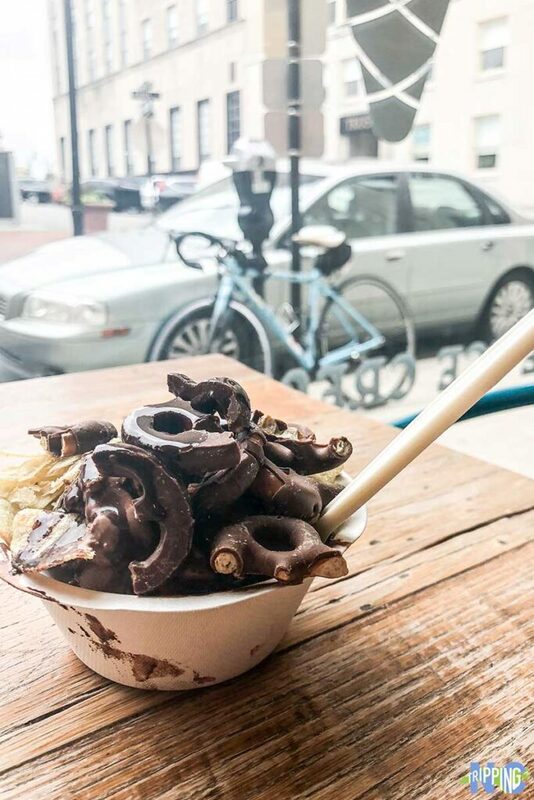 Want a sweet treat while strolling around downtown? The Parlour is the best place to go! 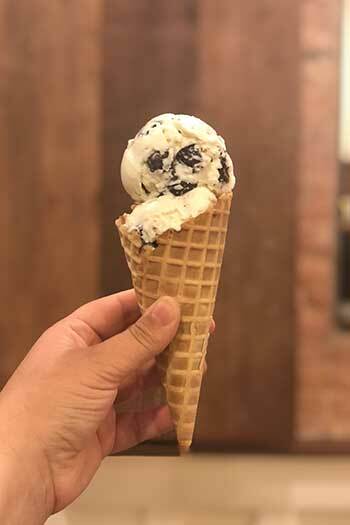 Local fresh ingredients and 18 percent butterfat means this ice cream will leave you wishing for a double scoop. They have plenty of treats for everyone, with vegan-friendly fruit sorbets and coconut milk-based creamy ice cream! Personal favorites include their Bourbon Butter Pecan, Vietnamese Coffee, and Salted Butter Caramel. 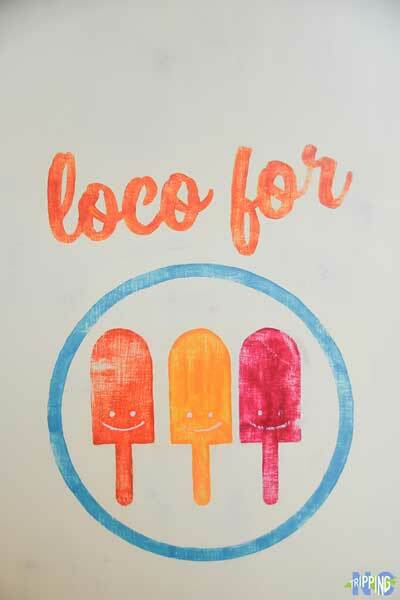 With seasonal flavors and tastes inspired by owner Summer Bicknell’s travels, Locopops is the perfect place to dangle your legs off a front porch and lick a pop! 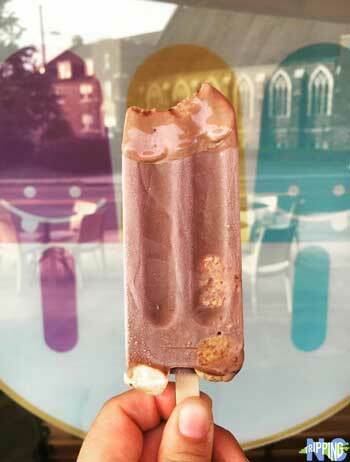 We love their baby pops and silky ice cream, too. Thanks to their expanding menu, you can even grab a slice of Mexican chocolate chess pie. If you’re into inspirational stories (I mean, who isn’t? ), read our interview with one of our favorite People of NC, the loco lady herself, Summer Bicknell! 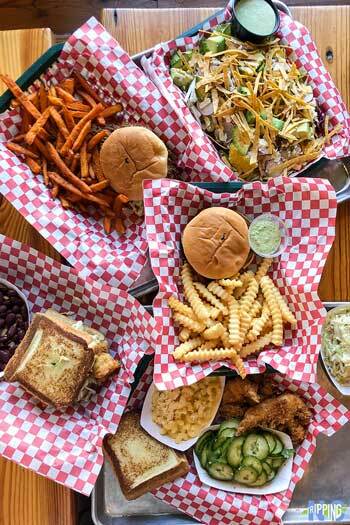 These are not the only casual restaurants in Durham that we love, but this should get you started if you’ve never eaten here. With such an awesome food scene to tackle, this was tough. If you’ve explored some of the Bull City’s places to eat, what’s been your favorite so far? What’s your favorite casual eating spot here? 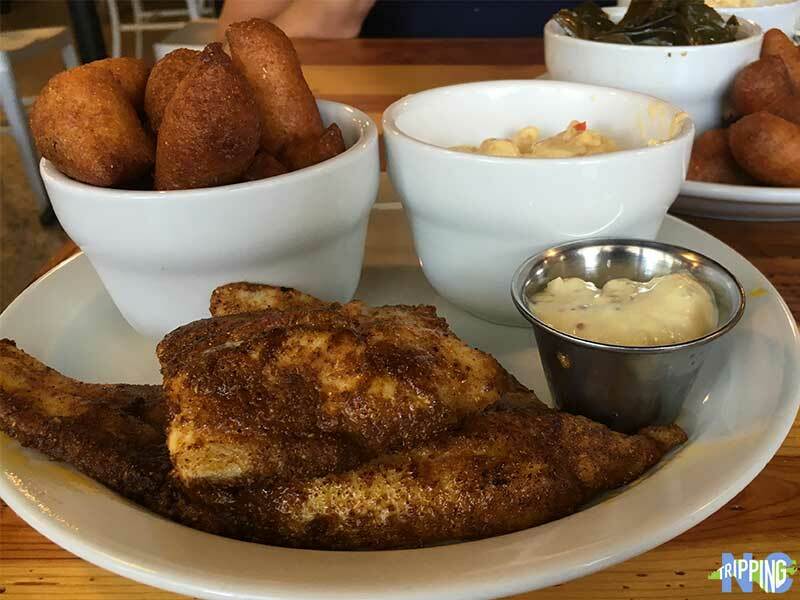 This guide is part of our series on Norh Carolina Food, Durham Travel, and Places to Visit in North Carolina. It was originally created on August 13, 2018. It has been maintained and updated on our blog (as of March 8, 2019) to reflect current viewpoints and travel trends. This entry was posted in Travel and tagged Durham, Durham County, Food, Research Triangle, The Piedmont. La Monarcha Michoacana needs to be added to the dessert section! We’ve heard great things! Sounds like a good excuse to do some research!!!! Thanks!